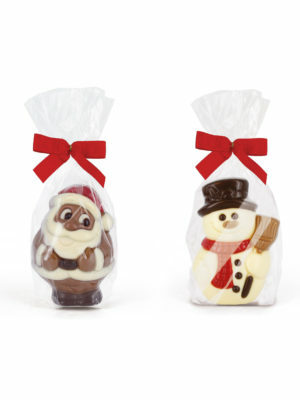 Bring the Holiday spirit in your shop with this lovely decorated chocolate Christmas bauble. 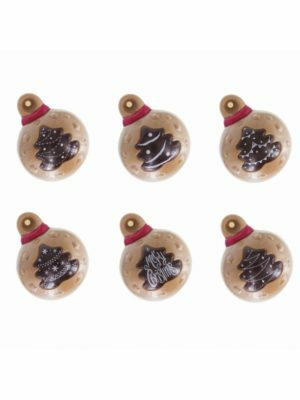 Thanks to the opening at the top you can hang the chocolate bauble in a Xmas tree or use it as edible Christmas decoration. 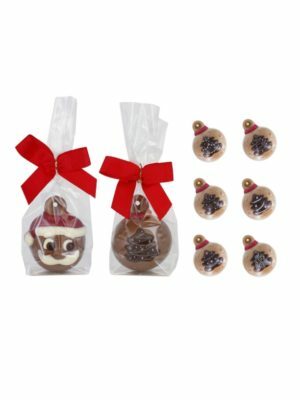 What a cute & delicious way to decorate the Christmas tree! 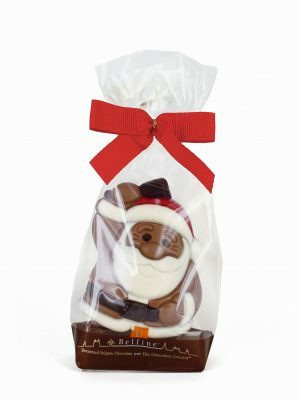 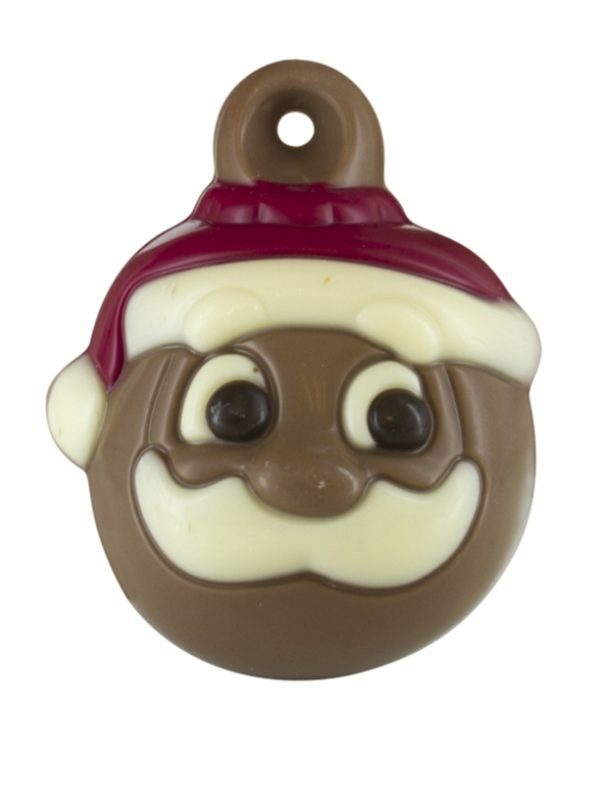 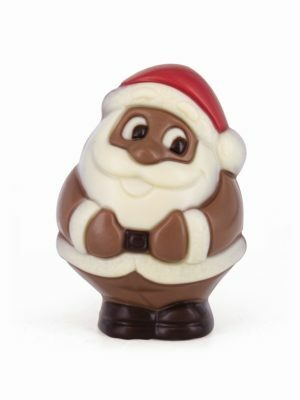 The Santa face Christmas bauble is sold bulk: 24 pieces in an outer box. 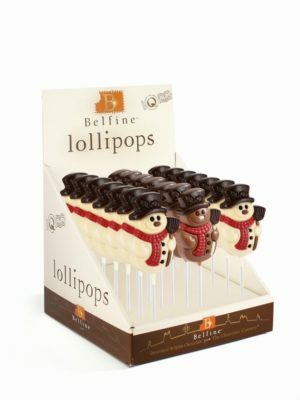 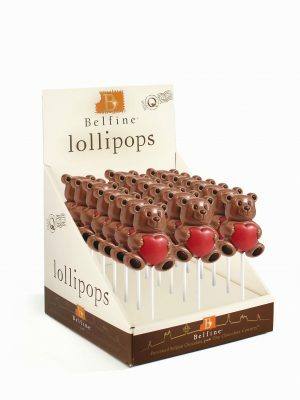 All Belfine chocolate figurines are made in Belgium with premium Belgian milk chocolate based on a strict selection of Madagascar cocoa beans.